2019 JAMB UTME Result is Out. 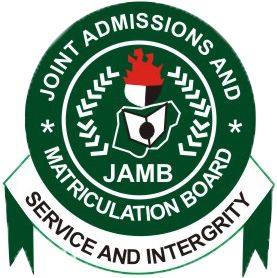 You can check your Joint Admission and Matriculation Board, JAMB Result online yourself without the use of scratch card. This is to inform all that candidates who participated in the Joint Admission and Matriculations Board (JAMB) 2019/2020 Unified Tertiary Matriculation Examination (UTME) that they can now check their Result/Score 24 hours after the examination. Candidates who participated in the exercise should follow the steps below to check the 2019 JAMB UTME result online without the use of scratch card. Login with your Email and Password you used during registration. Click on ‘Check 2019 UTME Examination Results’. The Jamb portal will display your Result if it is available. According to the Board, the Jamb cutoff mark for admission perched at 180 for Universities and 100 for Polytechnics and College of Education. Ads: Want help from experts who will check your JAMB Result for you? Or looking for how to check your Jamb result using your registration number only? Then visit: https://guide2nigeria.com/check-jamb-result/ for different ways and method to check your Jamb score.